After an almost year-long process, Ole Blue is legal to drive on the streets and country roads. It took a letter to a newspaper consumer reporter, visits to a lawyer, numerous trips to the BMV and four police inspections. Since Ole Blue had arrived stripped of all standard identifying marks, we had to establish ownership and give Ole Blue a brand new vehicle identification number. This story really begins in April 2003. 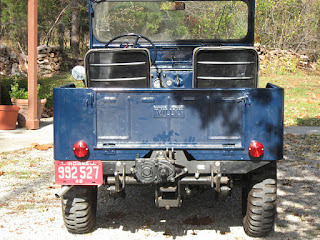 Readers interested in how Ole Blue got to this point can start here http://www.farmjeep.com/projects/old-yeller/cj2a-part8.html. 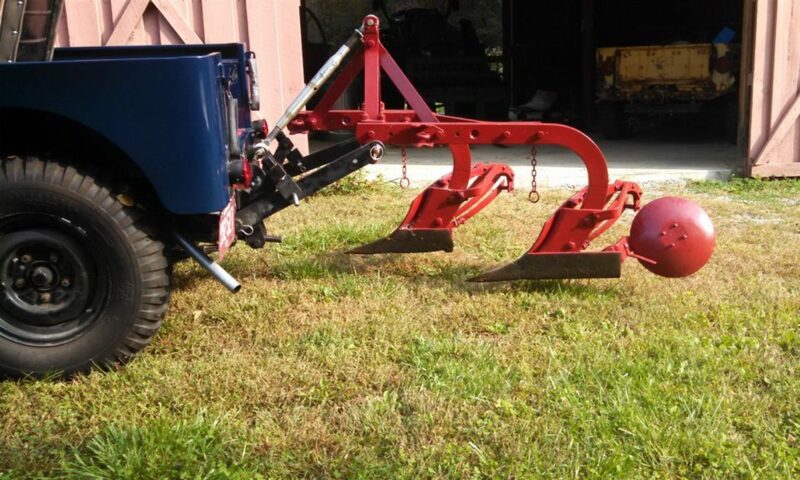 By the fall of 2010, Ole Blue was ready to roll, but lacked a working 3 point hitch, good oil pressure (a new pump had been ordered) and minor items needed for on-road operation like windshield wipers. (These fixes and additions will be reported later.) We began the process of getting a title and plates with some research on the Web. It appeared from the BMV Web pages that we needed to fill out some forms and have a police officer inspect the jeep for identification. We took the forms to the BMV, only to learn that our failure back in ’03 to obtain a bill of sale (BoS) was a big mistake. Without a BoS of some sort, we weren’t going to get Ole Blue on the road. We came up with the idea of enlisting a local newspaper reporter who works on consumer problems. Within a day, she had gotten answer from BMV headquarters on how we could solve our problems. Basically, we needed an affidavit detailing the sale. After visiting our lawyer, we were off to the BMV again. Three months later, after three more police inspections, and a bunch of late fees (for not doing this in ’03!) we received a new ID number and a real title. 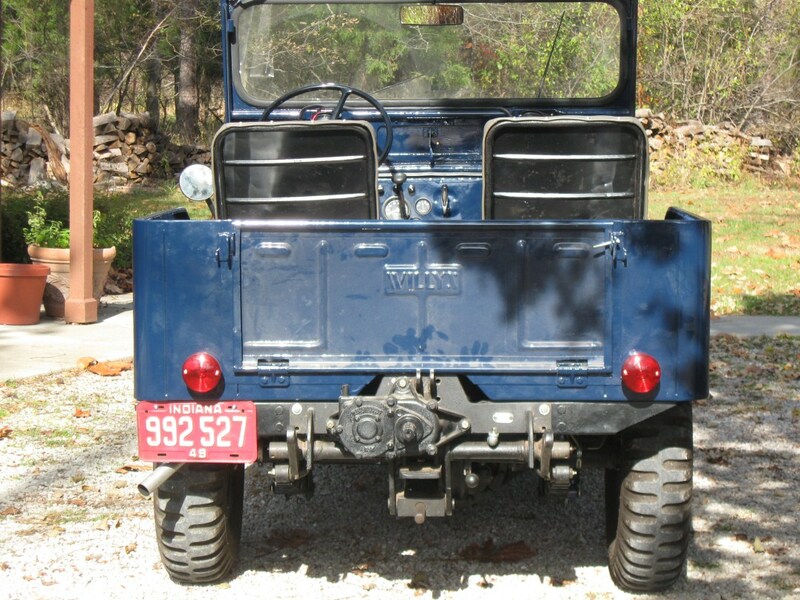 Indiana does allow antique vehicles to display Indiana plates for that model year. The real plate must be carried in the vehicle at presented upon request. We had been lucky enough to find a set of 1949 plates in excellent condition. So on a beautiful late fall afternoon we mount the red plates with white letters and took Ole Blue for a short spin. We are on the road again! Next PostNext Who needs wipers?